We take Jesus’ command seriously: “Go therefore and MAKE DISCIPLES…” I have written a 50 page teacher’s guide designed to aid in getting new Christians established in the faith. 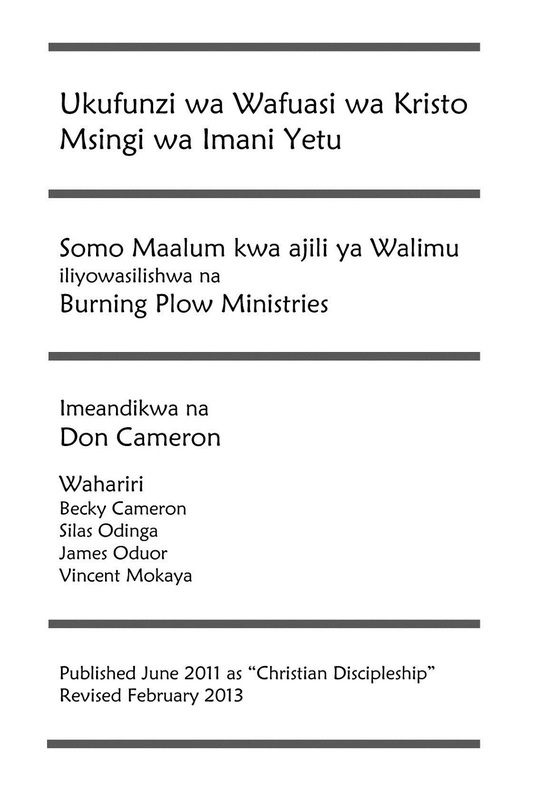 We have recently completed translating it into the Swahili language. 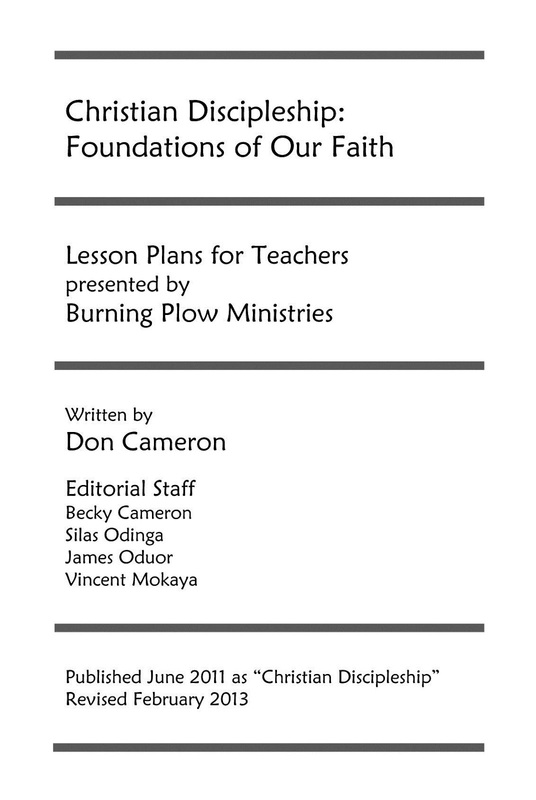 The book contains 14 lesson plans for teachers intended to give new converts a firm foundation for their continuing walk with Christ. Within the next 2 months we will be showing “The Jesus Film” on three separate coffee and tea plantations. Before each showing of the film, we will conduct a class at that farm for volunteers who share our vision and zeal for making disciples. The people in the class that you see here live and work on one of these farms. 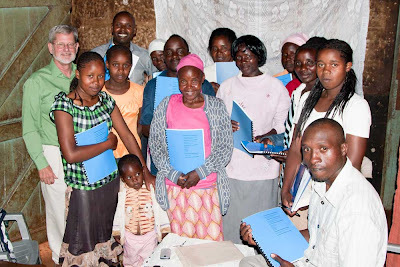 As people respond to the film and pray to receive Jesus as their Lord and Savior, these workers will each welcome a new believer and immediately make an appointment with each one of them individually for follow-up the next day and for as often as possible for at least the following two weeks, then weekly thereafter for the purpose of getting them established in their new faith. To get them in the habit of regular fellowship with a local congregation, they will not just invite them to church but will literally “take” them to church. Silas Odinga and James Oduor, are assisting me with the teaching. I have been mentoring them and training them to conduct this class.They are now ready for me to release them toconduct the entire training themselves. 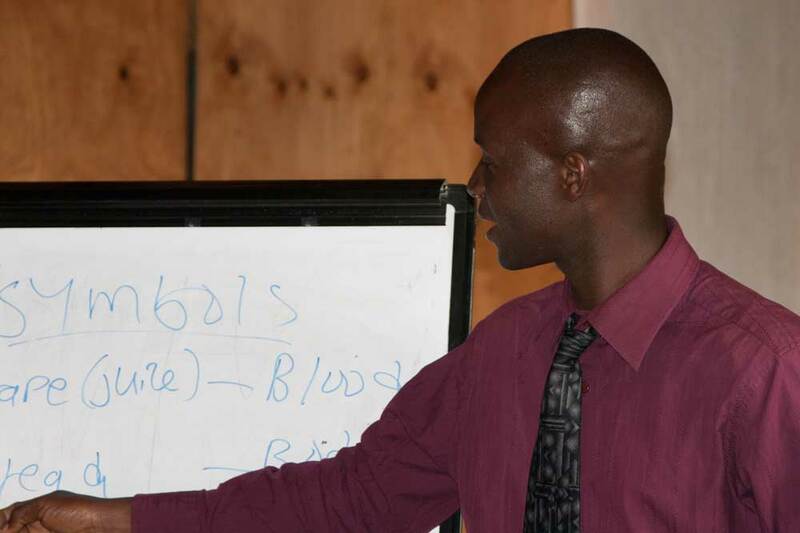 This particular class was conducted on March 16-17, 2013. For the second half of the training on Sunday afternoon, we had several additional students, but only those that attended both days received the certificate. 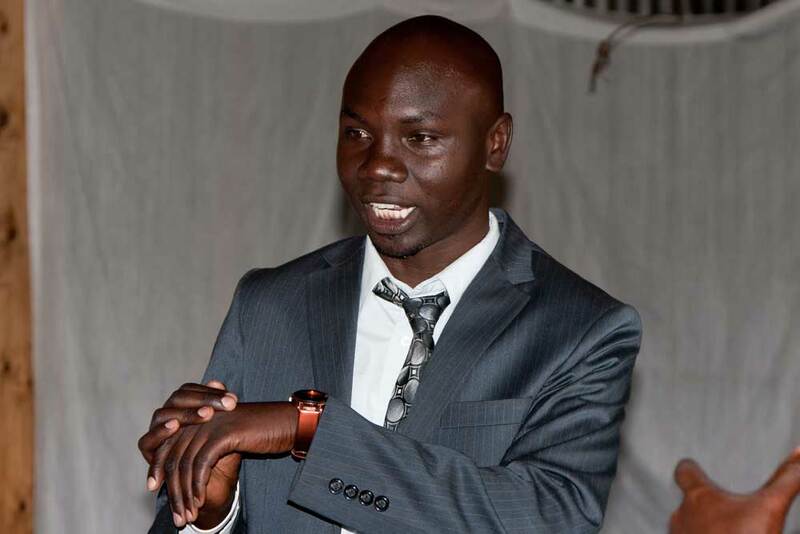 This Maasai man, Simon Itinga, heard about the meeting to be held on Saturday at the plantation where he worked and asked if he could attend. We agreed and welcomed him into the class. He is not in the picture on the previous page because he had to leave for work before the photo was taken. 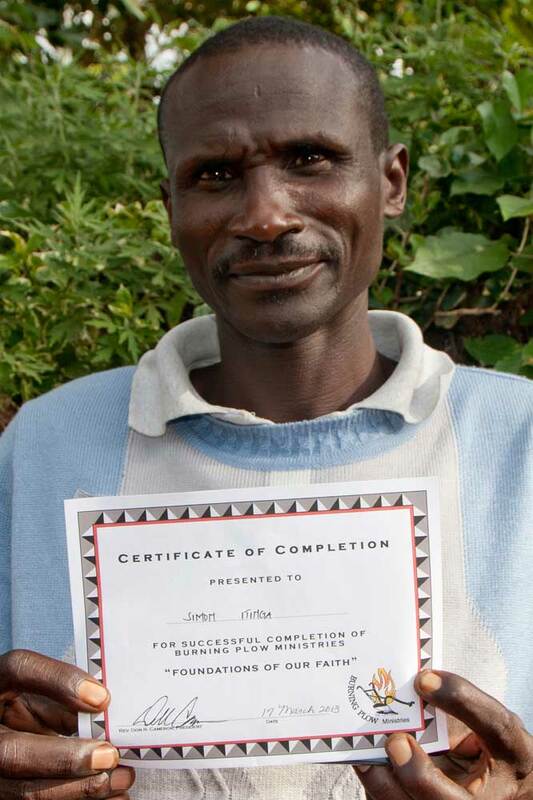 He also attended the Sunday afternoon session and received his completion certificate. As I was teaching how to share your personal testimony, I called on him. He did not readily speak up and so I asked him if he was saved. He said “No, but I’m ready.” Praise God! He became a follower of Christ right there in the class. The teaching is at work already because one of the men in the class volunteered to disciple him. We have held two more classes in other areas since then. On May 30th we are taking it to Kalambia, a new location for us.